On Twitter today, a fake Steve Ballmer quickly gained a lot of followers as people discovered the account. The account tweeted a few times, with a bunch of convincing pictures that hadn’t been posted anywhere else online, so many were lead to believe it was real. The account quickly gained steam, with Anil Dash, Steve Sinofsky and others (including myself) tweeting the account, falling for the trick. Something seemed fishy about the account but I couldn’t put my finger on it. That’s when I realized this account was doing the exact same thing that I’d seen a handful of other accounts that followed me over the last few days do. This account is trying to scam Twitter into verifying it. A few days ago, [Asher Langton](twitter.com/asherlangton) pointed out to me an account I was interacting with personally, @dailyexec, belongs to a serial fake account creator. The list goes on and on. Many of them are convincing, and fool employees of the companies he purportedly says he works for into believing him, adding to the ‘credibility’ he is trying to create. 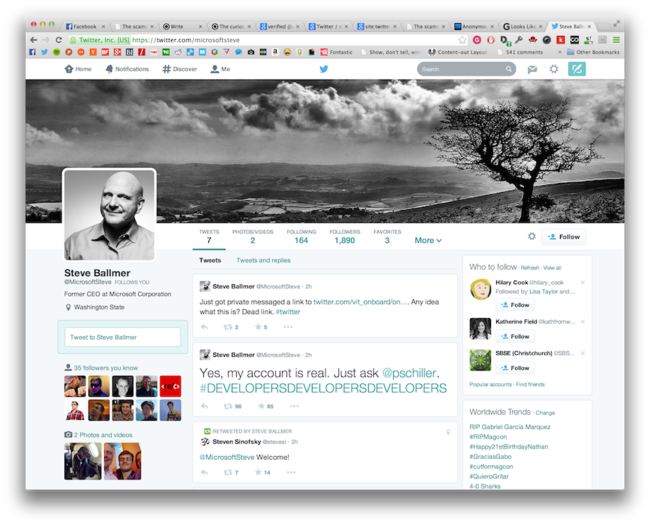 A simple look at cached versions of his Twitter bio expose the scam. He’s essentially claiming he’s done every notable thing ever. 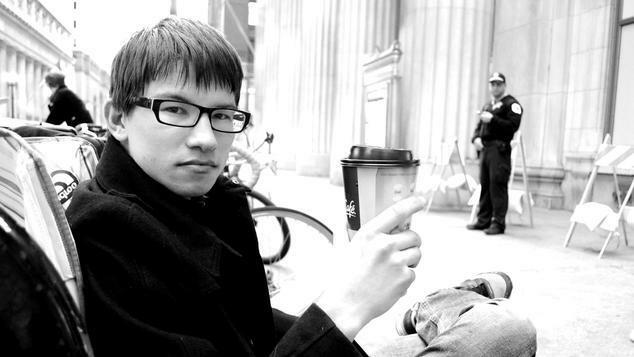 The same guy was busted for saying he would pay for an evasi0n jailbreak and then never did. He’s been trying to scam people literally for years. The link in question is this one: https://twitter.com/vit_onboard/onboarding?dm=1 (and no, it won’t work for you). When you’re invited by Twitter to be verified, you’ll get an email or DM from the company with that link, which leads you to a survey which “verifies your identity” before granting you a little blue tick. 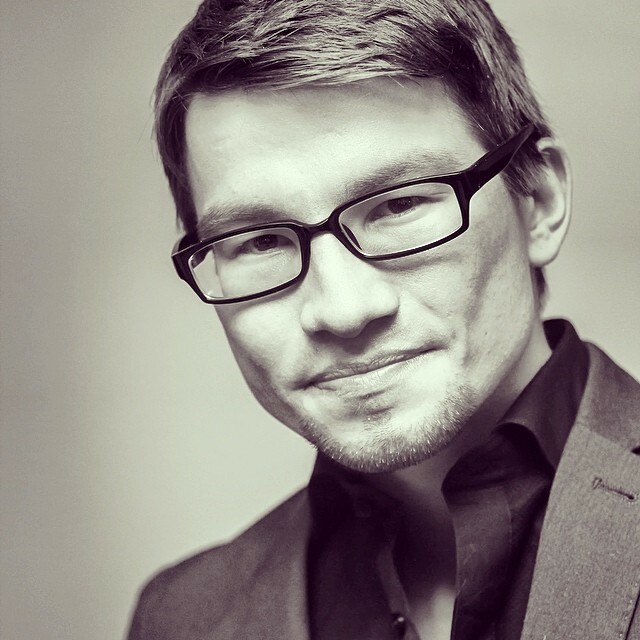 Arturas actually tried the same social engineering technique to get Google Glass previously, by retweeting a tweet about being invited to the join Glass Explorer program but just adding his own username in. Assumably Twitter has caught on, as his accounts are all now suspended (except this new one), but his scams continue in often convincing ways. I hope that this post makes others aware of this shady character’s actions and is a reminder not to trust everything you see online. If you find this interesting, [make sure to have a look](scams.sdf.org/Arturas.html) at all the different ways Arturas has tried to scam people. It’s incredible. When I interacted with @dailyexec before I knew, he seemed nice enough and even invited me for a beer in Chicago. 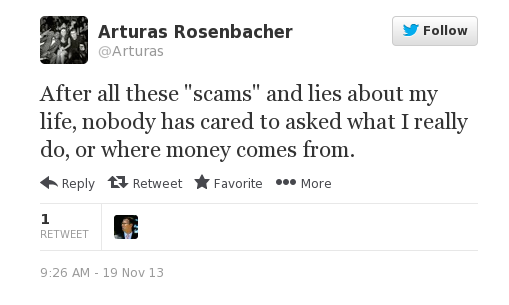 The sad thing is, Arturas has even admitted to scamming people and continues to do so. Not only is there all of this that stacks against the account, Steve Ballmer has also had a (rarely used) Twitter account for a number of years. P.S - A huge thanks goes out to Asher Langton for pointing this out to me. 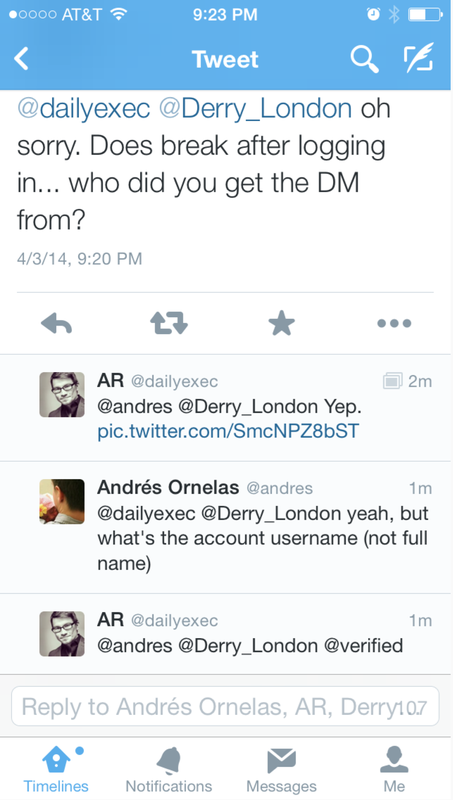 I’m happy to talk with Arturas directly if he can explain why all his accounts keep disappearing. 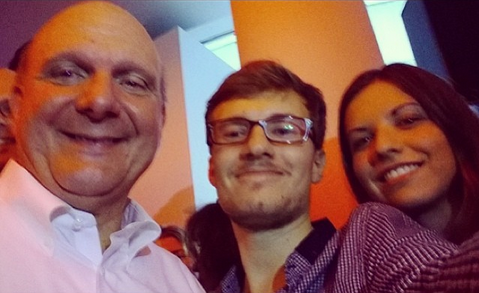 Update: I discovered late today that the selfie the account tweeted was actually one Guillaume Faou who works at Microsoft and took the picture himself, meaning it had to be lifted from his profile since the real Steve Ballmer wouldn’t have ever had the photo. Update #2: In the list of fake usernames I mentioned earlier, one that Arturas has been known to own; “Oliviaonreddit” posted to Reddit almost immediately after the account was created that Steve Ballmer had joined Twitter. Of course, Arturas says he’s been in a nightclub. Update #3: The fake profile for Steve has been suspended. Update #4: Arturas’ “personal” account has also been suspended, including the one he created for the assumably fake [Chicago Post](twitter.com/chicagopost). Nice work, Twitter!